This detective tale is equal parts deep, skillfully crafted, and racuously entertaining. After finally picking up Aviary Attorney during the Winter Steam Sale for a cool $3.74, I was eager to dive in and experience the strange tale of two bird detectives. While it may be something you're tempted to pass up on Steam (the premise is certainly odd), it’s honestly a game I cannot recommend highly enough. 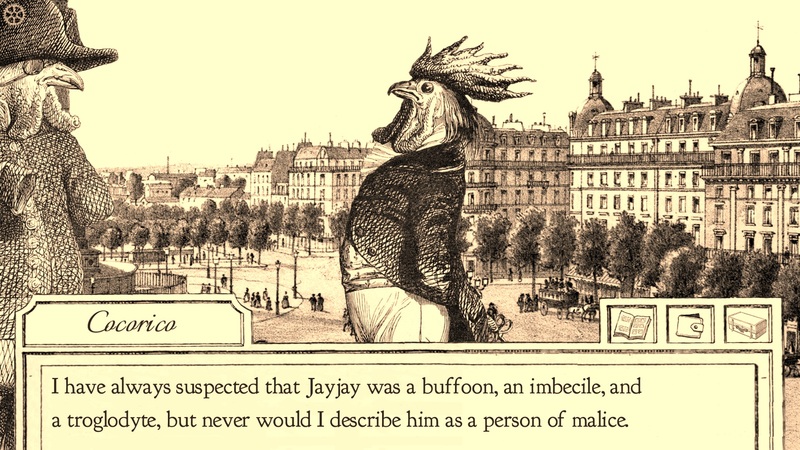 So, if you're in the mood for something strange, here's why you should give Aviary Attorney a try. On the surface, it’s easy to compare Aviary Attorney to games like Phoenix Wright: Ace Attorney, or to media like Sherlock Holmes. 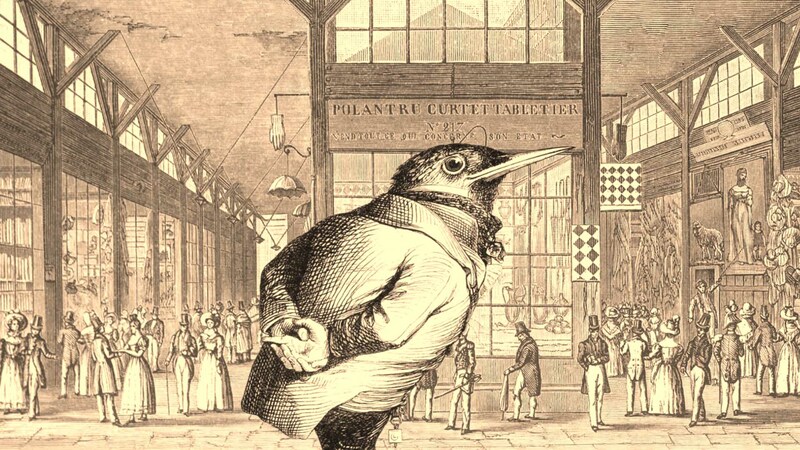 However, there’s a lot more to Aviary Attorney than meets the eye. Upon loading up a new game, you’re immediately greeted by gorgeous a gorgeous pen and ink art style and some delightful classical music. The artwork itself was sourced from French caricaturist J.J. Grandville, with the backdrops stemming from public domain lithographs. Definitely a creative choice on the developer’s part. What’s more, a nice touch of animation has been added in to help give the characters life. The end result feels as though you’ve been transported back in time to 1840s France. In regards to the story, progression centers on a diverse collection of cases. Along with learning more about your clients, each case beautifully highlights the opposing personalities of the game’s two main protagonists: Jayjay Falcon and Sparrowson. 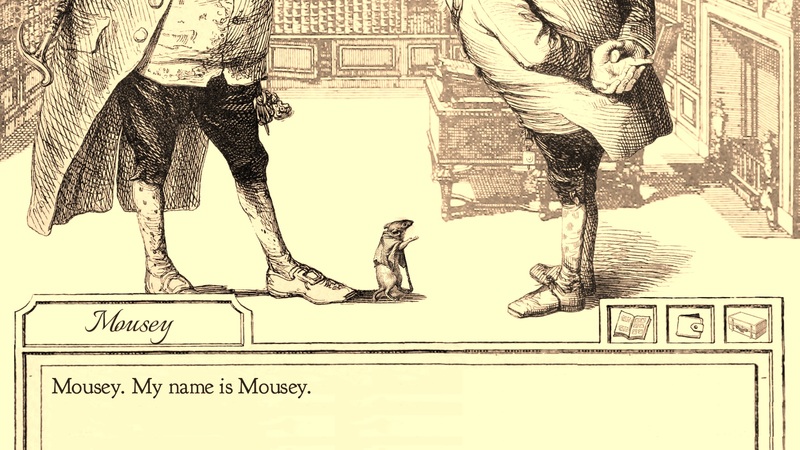 Despite its name, Aviary Attorney includes a delightful assortment of animal characters from foxes to mice. Each character the two detectives encounter has their own quirks and charms, helping them immediately stand out. Well, apart from their visual design. I mean, where else could you interact with a stately lion in a top hat or a bird with hands instead of wings? Strangely enough, as much as I praise Aviary Attorney’s design, I feel like the game’s dialogue is its strongest point. The text is never too long or too short, and even though the jokes and puns fall flat at points, they manage to retain a touch of subtlety. Blend all of these elements together, and you have a recipe for a game you simply can’t stop playing. As the meat of the game, each case you take on requires a combo of map exploration and evidence gathering to solve. Then, at the closing of a case, you arrive in court to defend your client. The game challenges you by giving you a set time limit, which prevents you from aimlessly wandering from location to location in search of clues. In order to emerge victorious in Aviary Attorney, you have to use deductive reasoning to determine the most useful areas in relation to your case. The methods you use to gather evidence range from interviewing witnesses, investigating the scene, as well as a touch of thievery and gambling for good measure. You can wing it, or thoroughly scour for clues. It's really up to you. One thing I really liked about Aviary Attorney is that each case is its own self-contained chapter. This creates a game that’s easy to digest, as it feels more like a collection of short stories rather than a single piece of long, drawn out narrative. There’s also a nice amount of replay value to the game, as your choices dictate the outcome. Running through a previous case with a different approach often results in an extremely different conclusion. Not happy with how a case turned out? Simply try it again with a fresh perspective. It's certainly worth it, especially if you wound up "failing" a particular client. Overall, the puzzles are approachable, the characters memorable, and the visuals absolutely stunning. 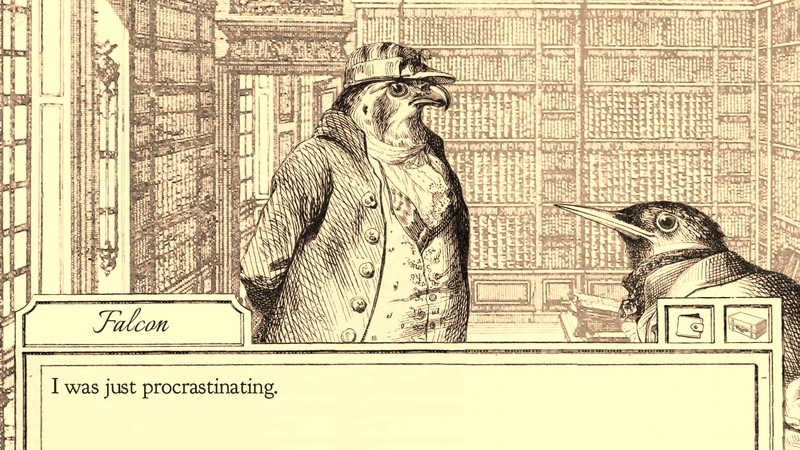 If you’ve yet to pick up a copy of Aviary Attorney on Steam, stop procrastinating and head to the game’s Steam page. 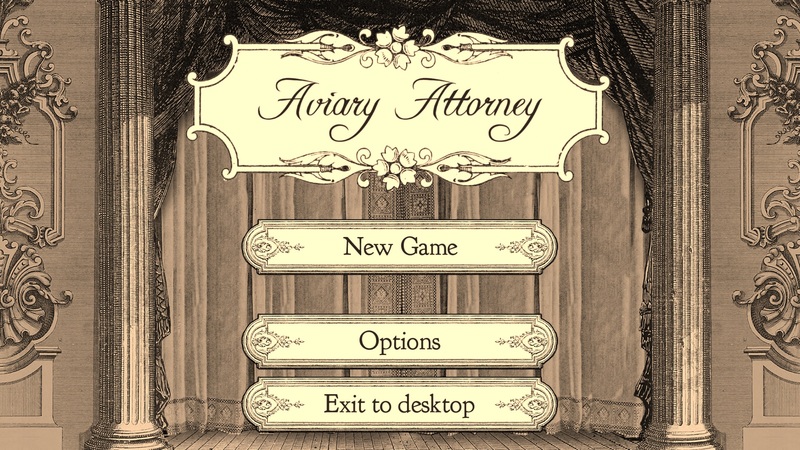 I guarantee you’ll enjoy every minute spent in Aviary Attorney’s charming, unusual world!